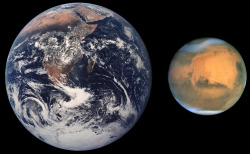 Going to Mars would be a great honour however,I do not think I would be willing to take a one way trip to Mars no matter how well trained I am to survive there.How certain are we that the planet is as safe to live on as the earth is? Go to Mars is not a vacation travelling, not a sightseeing tour, or an indulgence hotel plus flight package. All these are round trip journeys, after which your expectations of returning to ordinary way of life, seeing your loved ones again, and maintaining the same self identity can be realized. In contrast, a journey to Mars is a one way ticket, changing your entire concept of ordinary life, and parting with your loved ones - possibly forever. Does it worth going? I doubted! No because i couldn't see my friends if i'm on Mars, because there are more things to play with on Earth.